For boys or girls, three variations, several sizes. When the weather is warm who doesn't love a pair of flip flops? 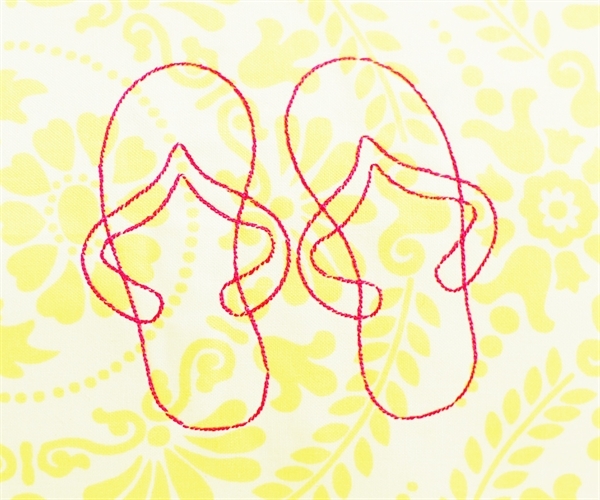 Great for a beach bag, a t-shirt, or a beach towel. 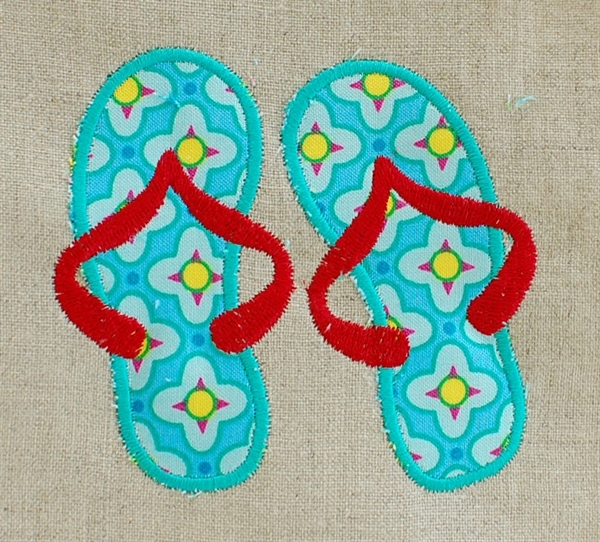 flip flops plain applique large 5.5"x5.3"
flip flops plain applique medium 4.6"x4.8"
flip flops plain applique small 3.4"x3.6"
flip flops flowered applique medium 4.6"x4.8"
flip flops flowered applique small 3.4"x3.6"
flip flops plain outline large 5"x5.4"
flip flops plain outline medium 4.3"x4.7"
flip flops plain outline small 3.5"x3.8"